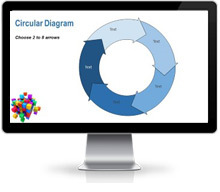 Create the perfect PowerPoint diagram in seconds. Easily create the diagrams you need with Flevy Tools! Now you can create diagrams in just 2 simple steps! 1. Select the type of diagram layout in the Flevy PowerPoint tools Office Ribbon. 2. 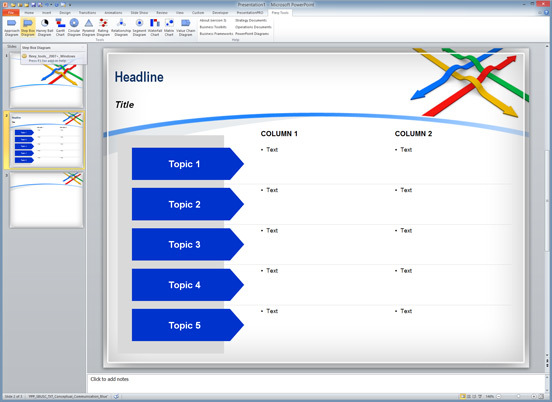 Select the type of diagram layout in the Flevy PowerPoint tools Office Ribbon. A Step Box diagram is just one option in Flevy PowerPoint Tools. Easily create your own diagrams in PowerPoint.